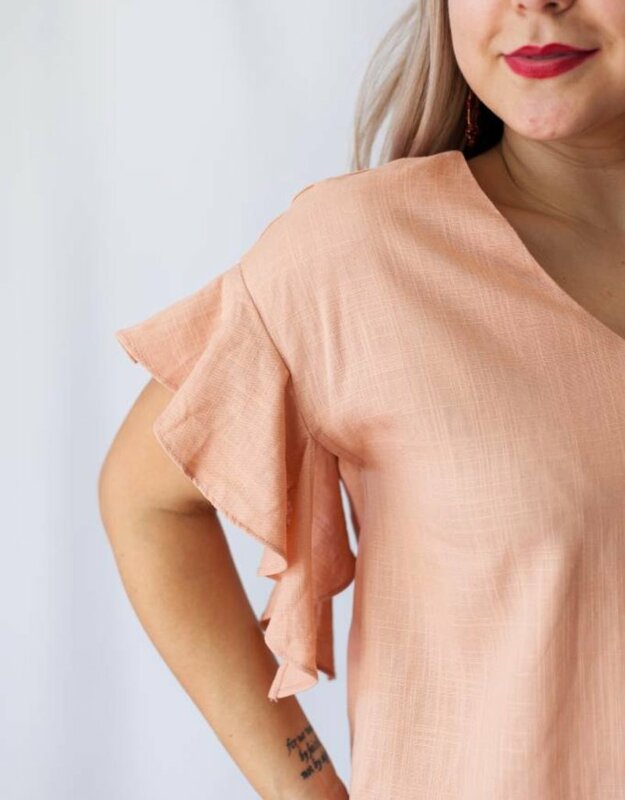 This darling top is making us think about days at the beach! 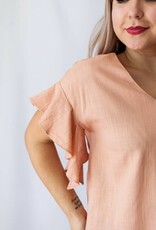 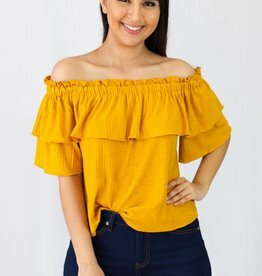 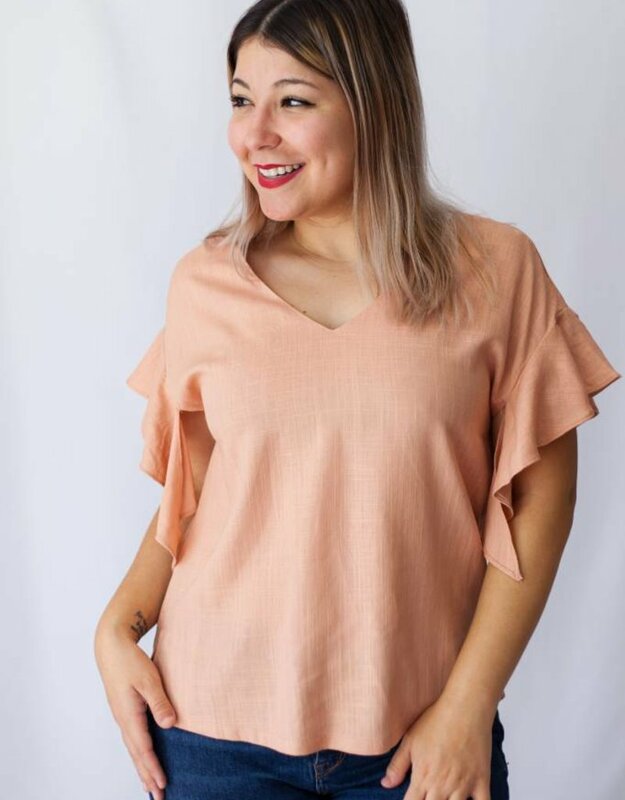 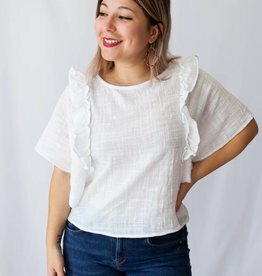 Our Kaysee top features short ruffle sleeves with a self tying knot detail, and a v-neck neckline. 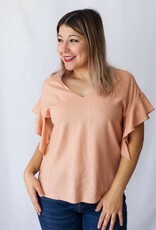 Pair this top features some white jeans or shorts to complete the look.